who else really loves this – WhatZupBristol! We are BEYOND excited to ride Crossrail for the first time today. After years of build-up, the hype train has finally become an actual train. It’s here. We’re waking up bright (well actually dark, considering the time of year) and early in order to catch the first official Elizabeth line train — assuming, that is, that we were able to get any shut-eye at all last night with all the excitement. It’s unlikely. We’ve been waiting to ride through these tunnels for months now. Speeding through subterranean London, with air con, wi-fi and 4G (but no toilets — we’ve forgone our morning coffee). London: Remember the date of Sunday 9 December 2018. It’s a day you’ll tell your grandkids about. A day to go down in history. The day the future began. If you’re also on a Class 345 this morning you might have spotted us. We’re wearing a pair of the new very purple Elizabeth line Adidas trainers — they were only released yesterday, just in time for the big launch. 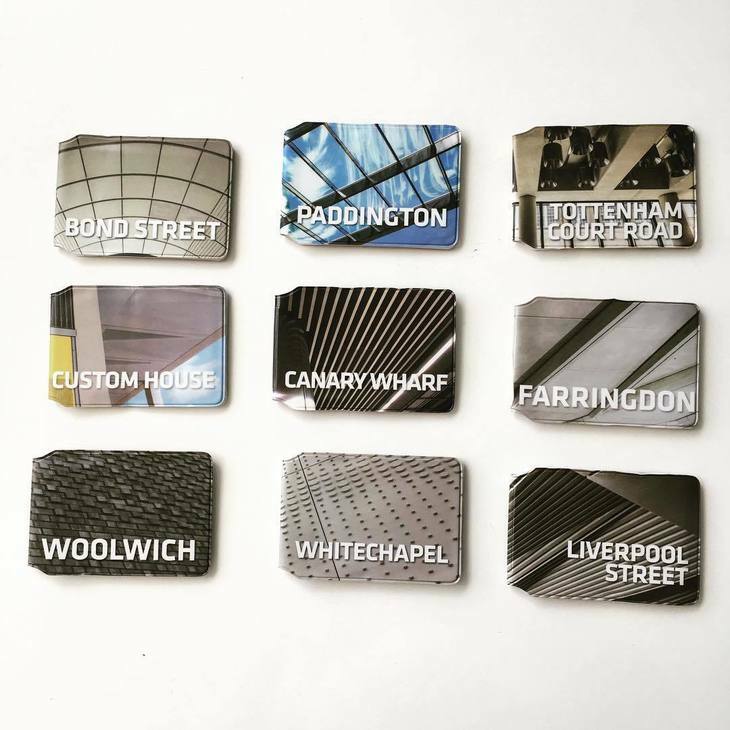 We tapped in with our Oyster card safely tucked away in our special Crossrail 2018 wallets. And for good measure we’re wearing a purple t-shirt. 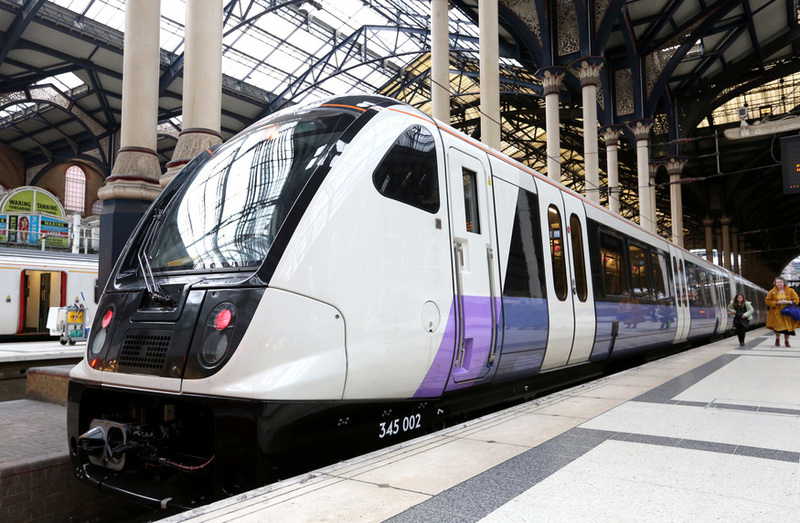 You can’t miss us — but don’t let us distract you from the shiny new purple trains. Obviously we’ve been on a Class 345 before, between Liverpool Street and Shenfield, and Paddington and Hayes & Harlington. But although these will become Crossrail eventually (when we rode them, they still had their TfL Rail branding), today is not their day. And anyway, these routes were in existence before Crossrail, albeit with different operators. The Crossrail route through ten core stations in central London however — this is something totally new. We weren’t always sure this would happen. A few months ago we looked into the chances that Crossrail could be delayed. Please forgive us TfL, how could we have ever doubted you? We should have known that such a monumental project was too big too fail. No more criticism ever again. We promise. And yes, today marks the day we really should start calling it the Elizabeth line rather than Crossrail. However, we’re going to hold off on that for as long as possible — at least until December 2019 when the whole service launches. We’ll finally go to Reading. But for now, let’s just celebrate today. The day a major London infrastructure project delivered. On time. On budget. Beautiful. Previous PostPrevious IMO posts about is great who agrees?